Super Savings! 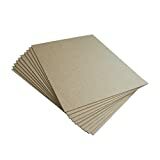 Up to 32% off on Chipboard at Designers Artists. Top brands include Things Improved, ThunderBolt Paper, Studio 12, MagicWater Supply, Prima Marketing, & Agsense. Hurry! Limited time offers. Offers valid only while supplies last. 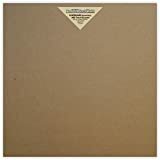 Prima Marketing 6 Pages Memory Hardware Square Kraft Chipboard Journals, 6.25 x 6.25"